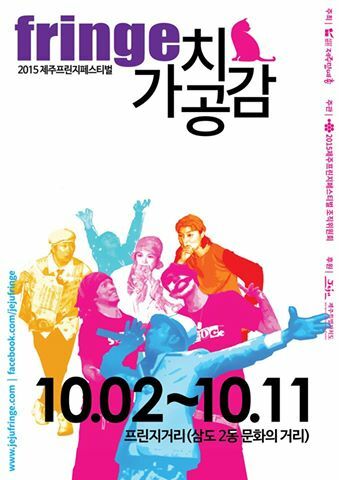 The Jeju People’s Artist Federation hosts the Jeju Fringe Festival (JeFF) Oct 2 to 11 in Jeju’s Wondoshim old town. The festival opens on Oct 2 with a parade and concert and then continues for 10 days with various concerts, performances, arts markets and more. The creative arts festival started in the Sanjicheon in 2012 before moving to the Wondoshim area last year as part of revitalization efforts. The province is turning the area into an art and culture hub by reoccupying vacant building and supporting businesses there. The festival experimentally showcases diversity, creativity and autonomy and with the slogan of the “Value of Empathy,” organizers hope it can help turn Wondoshim into an arts and culture hub. “This year, though the new ‘Value Forum’ and ‘Empathy Party,’ provincial artists and cultural migrants can come together and collaborate,” said a spokesperson. Organizers hope this networking of cultural planners and cultural arts practitioners will help differentiate this festival from others and get as many locals as possible involved. Other events to be held include an arts market, a culture concert, an experimental concert and “fringe theater”. There will also be the chance to see some hard-to-see independent films as well as projects supporting young artists in the visual arts.